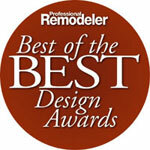 Click logo to see before & after plans of this award winning bathroom! To complement their new master suite, these Corvallis homeowners requested a luxurious bathroom with a large custom tiled shower. Travertine was chosen as the dominant design element because of its warmth and connection to nature. 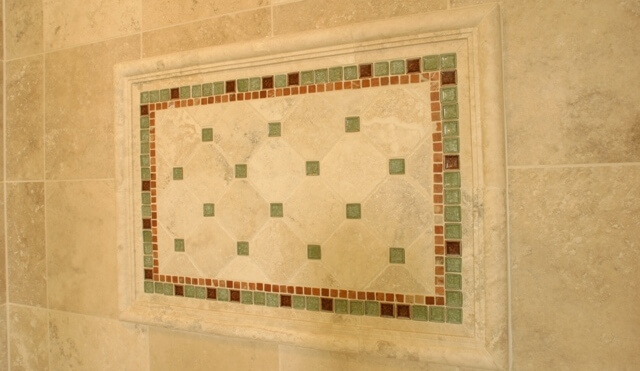 A travertine shower bench makes it easy to relax, while a beautiful tile mural adds beauty and interest. Recessed niches, an adjustable hand-held shower sprayer, and faucets were carefully chosen for their artistry as well as function. 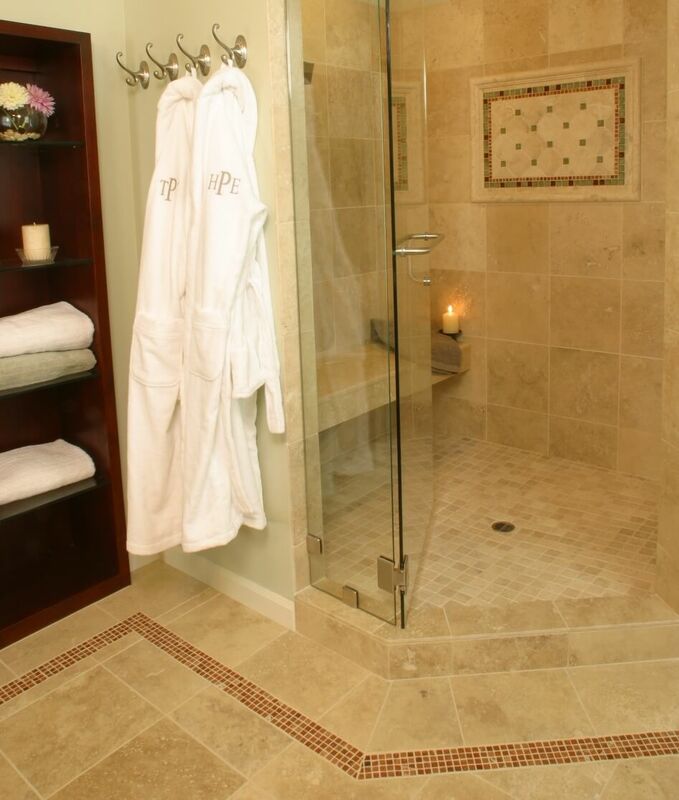 Soft His and Her robes hang on brushed nickel hooks next to the shower. The heated floor is wonderful after a hot shower! 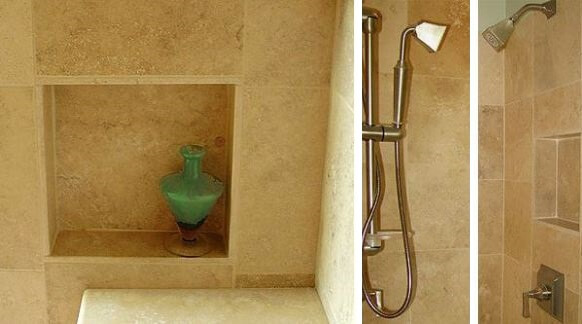 The travertine floor tiles match the shower walls, creating a sense of harmony. 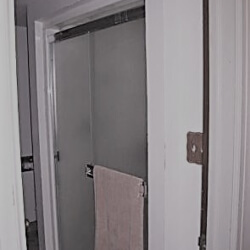 In addition, the accent tiles that were used to create the shower mural were incorporated into the backsplash and linear accent on the floor, tying the spaces together. 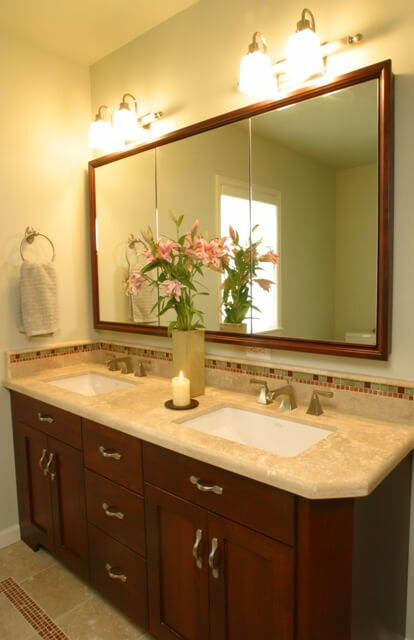 Travertine was also used for the vanity countertop. Richly stained cabinets and ambient light add warmth. A custom recessed mirrored medicine cabinet reflects natural light and helps the room appear larger. A handy outlet in the vanity drawer keeps the hairdryer out of sight. A custom cabinet was recessed into the wall to maximize floor space and maintain the open floor plan. The cabinet’s open shelves conveniently store towels and candles for a spa-like ambiance.